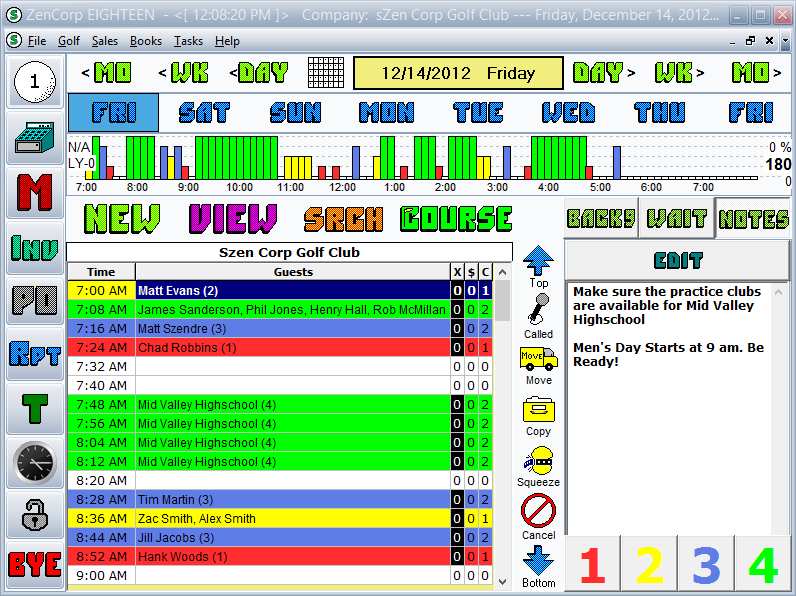 Golf is your business, it needs to be managed right. Eighteen Golf Management leads the way in ease of use. The truth is... you probably didn't get into the golf business because you love inventory control, tournament credit slips, making tee time reservations and sending out statements. And the young assistants and golf shop personnel you hire probably don't yearn for the opportunity to bill for power carts, create purchase orders and calculate golf ball sales by brand and model. But as a golf professional, you know the business of golf is truly a business, a business that needs to be managed right or it can spell disaster. That is why sZen built Eighteen. 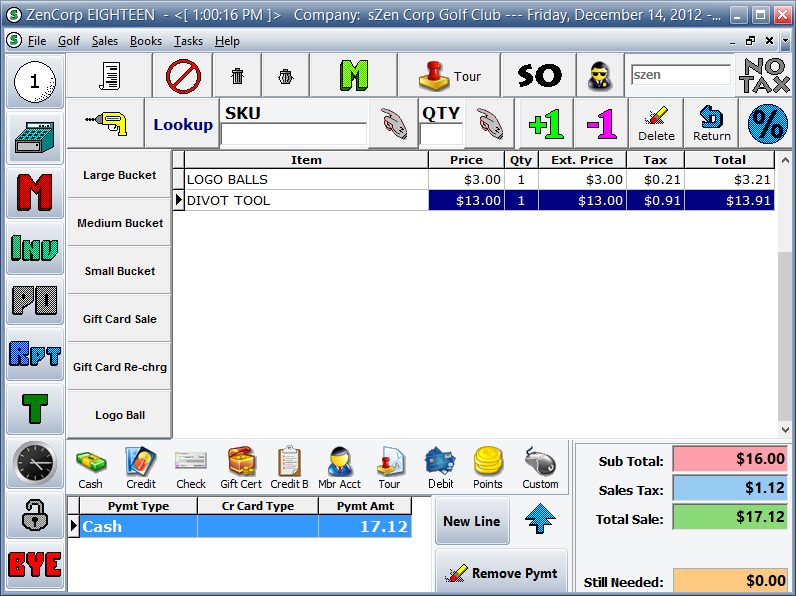 The sZen Software Suite for the golf business flawlessly integrates your business. Designed with hands-on input and guidance from top PGA professionals and business professionals, it is thorough, accurate, flexible, and very, very easy to use.